This is the kind of everyday thing we use our Glowforge for. L's gecko has two lights on top of his cage, one for light, one for warmth. The lights we purchased have the most annoying cords with the switches at the least convenient spot on those cords. 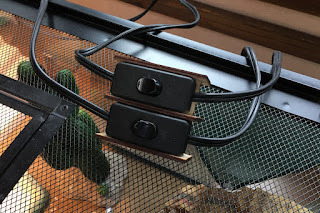 It has held the cords/switches in place for 2+ weeks without fail and L's gets to reap the benefits of something he made every day.